Losing weight is a key part of maintaining a healthy body. If you are overweight or obese, then you want to take measures to reduce your weight without taking risks with your health. 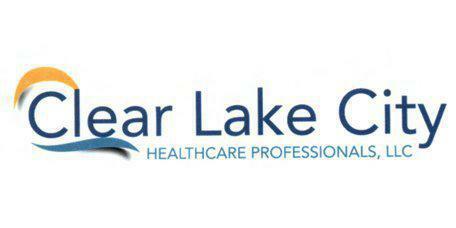 At Clear Lake City Healthcare Professionals in Webster, TX, we help you with the process of losing excess weight and improving your health. Medical weight loss refers to a medical process of losing weight and improving your health. At our clinic, we offer a non-invasive and non-surgical treatment plan to help you reach your weight loss goals without taking risks with your health. A medical professional monitors your health and makes suggestions based on your situation and needs. We supervise your weight loss to ensure that your body does not face unnecessary complications throughout the process. Medical weight loss is a process that focuses on your lifestyle. At our facility, we may recommend dietary changes and alterations to your exercise habits to encourage long-term weight loss results. We focus on healthy nutrition and proper exercise practices that work up to your goals over a period of time. Depending on your situation and needs, we may suggest certain medications to help with your goals. For example, if a thyroid condition contributes to weight gain, then we may suggest medications for the thyroid condition. Our treatments and medications vary based on your medical needs and the factors contributing to weight gain. When you work with the medical professionals in our facility, you lose weight over a period of time. The amount you lose depends on your goals, your current weight and the amount of time put into the process. As a general rule, healthy weight loss is around one to two pounds of weight per week. We do not recommend losing weight at a faster pace, since it may harm your body and health. We may suggest changes to your diet, adjustments to portion sizes when you eat a meal, increasing the amount of exercise in your day, and treating specific health concerns that contribute to weight gain. Losing weight is a process and we offer the tools to help you reach your goals. Our medical team works with your needs and provides the information to help you obtain and maintain a healthy weight.